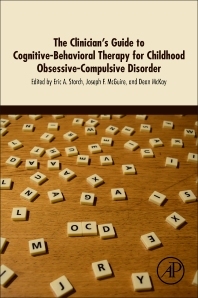 The Clinician's Guide to Cognitive-Behavioral Therapy for Childhood Obsessive-Compulsive Disorder brings together a wealth of experts on pediatric and adolescent OCD, providing novel cognitive behavioral strategies and considerations that therapists can immediately put into practice. The book provides case studies and example metaphors on how to explain exposure models to children in a developmentally appropriate manner. The book also instructs clinicians on how to use symptom information and rating scales to develop an appropriate exposure hierarchy. The book is arranged into two major sections: assessment and treatment of childhood OCD and special considerations in treating childhood OCD. Each chapter is structured to include relevant background and empirical support for the topic at hand, practical discussion of the nature and implementation of the core component (such as exposure and response prevention, cognitive therapy, psychoeducation and more), and a case illustration that highlights the use of a particular technique. Dr. Eric Storch is McIngvale Presidential Endowed Chair & Professor at Baylor College of Medicine. Dr. Storch has received multiple grants from federal agencies for his research (i.e., NIH, CDC), is a Fulbright Scholar, and has published over 14 books and over 500 articles and chapters. He specializes in the nature and treatment of childhood and adult obsessive-compulsive disorder and related conditions, anxiety disorders, and anxiety among youth with autism. Dr. McGuire has over 10 years of research and clinical experience in the assessment and treatment of Tourette syndrome (TS), obsessive compulsive disorder (OCD) and related conditions in children and adults. He has received research support from the National Institute of Mental Health, Tourette Association, and has published over 50 peer-reviewed journal articles related to the assessment and treatment of TS and related conditions. Dr. Dean McKay is Associate Professor in the Department of Psychology at Fordham University. He has published over 175 journal articles and book chapters, and edited or co-edited 16 books dealing with assessment and treatment of complex cases in children and adults, OCD, disgust in psychopathology, and research methodology. His research has also focused on mechanisms of information processing bias for anxiety states.